The Union Pacific Railroad designed and built this monster in the Omaha Shop. 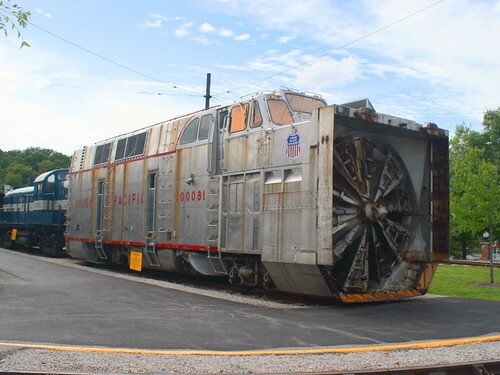 This rotary snowplow is the heaviest snowplow ever built. This baby boasts a GM/EMD 16-cylinder, 3,000 horsepower, turbocharged diesel engine that drives an electric generator which provides the power to turn those massive 12-foot rotary blades at 150 RPM.